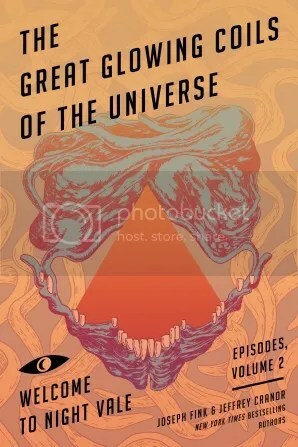 This is a Bookbanter giveaway for the advanced reader copies (ARCs) of Mostly Void, Partially Stars and The Great Glowing Coils of the Universe, reviewed here. 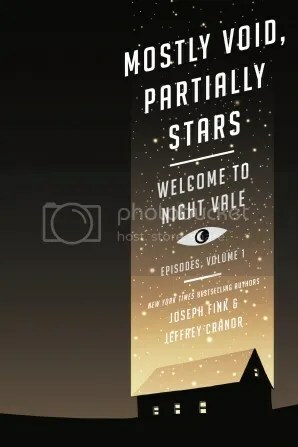 What is your favorite Welcome to Night Vale episode and why? The giveaway will end at midnight on Tuesday, September 13th. All comments made before will be entered into a random drawing. The winner will be chosen on Tuesday, September 13th and will receive both books. 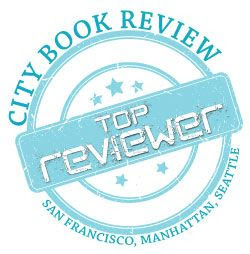 Thank you for participating and be sure to subscribe to Bookbanter for book reviews, writing and more giveaways. To enter simply leave a comment on this post. The question for you for this BookBanter Boon is how do you think Seanan McGuire is going to change the world of fae this time? Entries will be accepted from September 2nd until September 14th, 11:59 PM Pacific Standard Time . The winner will be randomly chosen, contacted, and announced on this post on September 15th. Be sure to either subscribe to the BookBanter Blog, or like the BookBanter Page on Facebook (or both) to get all the updates on BookBanter. 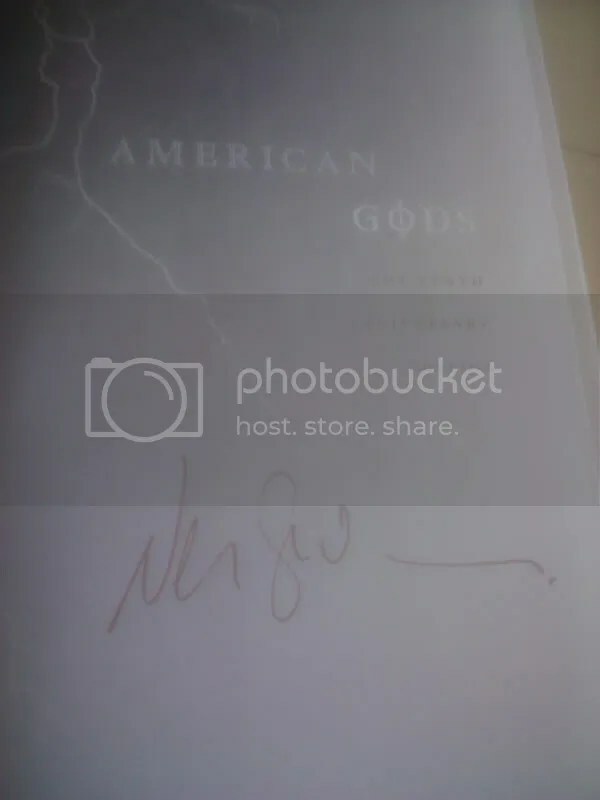 BookBanter Boon #11: “American Gods” by Neil Gaiman 10th Anniversary Author’s Preferred Edition SIGNED Giveaway! BookBanter Boon #11 is another special one (but then aren’t they all, since there’s a free book in it for one lucky person!). This one is for a hardcover finished copy of the new “author’s preferred edition” from Neil Gaiman of American Gods, and it just so happens to be autographed by the great author himself too. Not too, shabby. And since it’s so special, I’ll be running this giveaway through the whole month of August. To enter simply leave a comment on this post. The question for you for this BookBanter Boon is what’s the first thing of Neil Gaiman’s that you read, and how did you find out about it? Entries will be accepted from August 3rd until August 31st, 11:59 PM Pacific Standard Time . The winner will be randomly chosen, contacted, and announced on this post on September 1st. 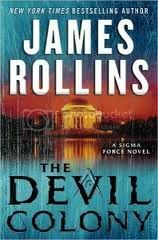 With the release of James Rollins’ latest thriller, The Devil Colony, along with the brand new interview between Rollins and BookBanter, we have another special BookBanter Boon giveaway, this time for a beautiful finished copy of the book in question, The Devil Colony. To enter simply leave a comment on this post. The question for you for this BookBanter Boon is how far back into history do you think the mysterious Guild goes? Entries will be accepted from June 21st until 11:59 PM Pacific Standard Time on June 30th. The winner will be randomly chosen, contacted, and announced on this post on July 1st. On the heels of the incredibly reviewed and now New York Times bestselling (as of 2/27 extended NYT list) Once a Spy (Dilys and Barry Award nominee), Keith Thomson returns with a second breakneck thriller TWICE A SPY (Doubleday; available March 8th) that is both clever, engaging and drives the suspense twice as much as the original. Picking up where Once a Spy left off, Charlie and Drummond Clark, the father and son duo, along with Charlie’s love interest NSA operative Alice Rutherford, are on the run and hiding out in Switzerland from criminal charges against them in America. Their life takes a turn when Alice is kidnapped while trying to exonerate Charlie and Drummond’s criminal charges. In order to get her back, Drummond must unlock key information lodged in his failing memory in order locate his cache of secret weapons and turn over the most lethal of the lot. Simultaneously, they must thwart the terrorists planning to use these weapons while being tracked by a formidable CIA case officer and his team. With TWICE A SPY, Thomson delivers a riveting and high-suspense thriller that again poses the question: What happens when a former CIA agent can no longer trust his own mind? If you’ve read ONCE A SPY you’ll enjoy TWICE A SPY even more but if you haven’t read Thomson’s debut, TWICE A SPY stands on its own. To be entered into the competition to win a copy of Twice a Spy by Keith Thomson, simply leave a comment on THIS POST of the BookBanter blog about why you like reading Keith Thomson. Anyone within the US can enter, and I’ll be accepting entries until March 31st at 11:59PM Pacific Standard Time. The winner will be announced on April 1st on the BookBanter Boon #5 blog post. Okay: the Patrick Rothfuss interview is up, and the review for The Wise Man’s Fear is up, so therefore it seems like the perfect time for the next BookBanter Boon. This time I’ll be giving away an advance reader copy of The Wise Man’s Fear. What’s interesting about the ARC of The Wise Man’s Fear is that there are 1109 pages, while the print version has 1008 pages. What’s in those extra pages? Who knows. But the randomly-drawn lucky winner will get to find out. To enter simply leave a comment on this post. The question for you for this BookBanter Boon is one I ask Pat himself: if you could live anywhere in the Four Corners of Civilization (the world of the Kingkiller Chronicles) and could do whatever you want: where would you live and what would you do? Entries will be accepted from March 2nd until 11:59 PM Pacific Standard Time on March 14th. The winner will be randomly chosen, contacted, and announced on this post on March 15th. To read the interview with Patrick Rothfuss, go here, or read reviews of The Name of the Wind and Wise Man’s Fear.